Reception Desk greets your clients in style! 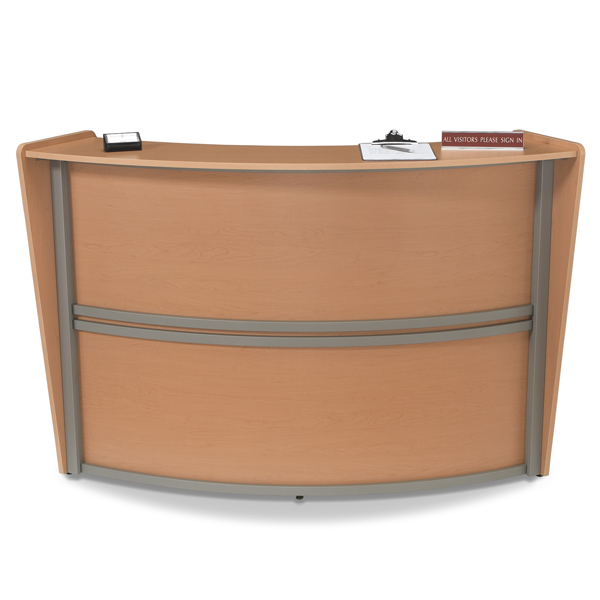 This Reception Station features wire management cutouts on interior desk and 19 3/4 in. Deep interior desk surface. Reception Deck includes leveling glides. Easy no tools required assembly. Available in Cherry or Maple.